Calamity Jane was a woman of daring and adventure. Among the that she was known to be... she was definitely a mix of many different notions. Frontier woman, rancher, actress, drinker, ruffian, scout, and sometimes prostitute. Definitely a motley mix of roles that she played in life. 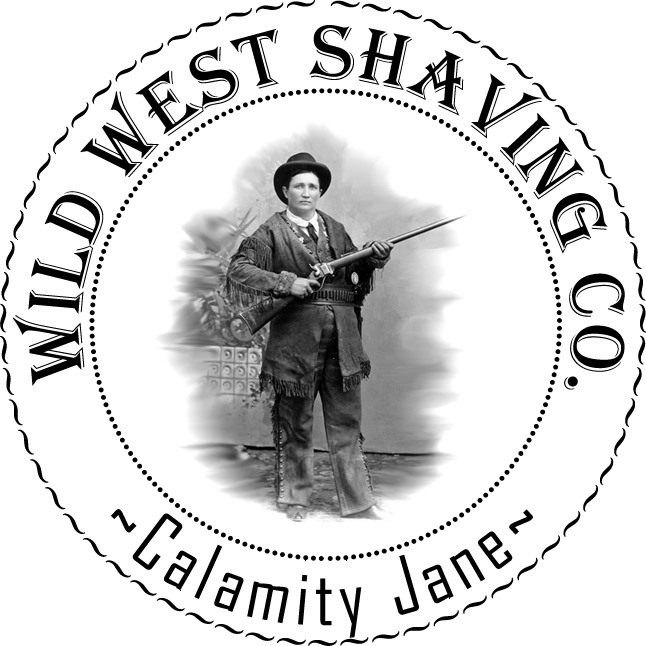 Calamity Jane shaving soap will have that kind of mixed up character as well. One batch may smell more of leather... another may smell like smoke and violets... even another may smell like whiskey, cigars and roses. You never know what role it will play from one batch to the next, as it will be concocted from experiments and adventures in perfumery, and soap batch tailings... Ever changing, never the same as the previous.